Plan your trip and board the bus with one App? Yes Please! The past week has been pretty crazy at Masabi HQ, with significant announcements from us around new customer wins and developments of our Justride platform. First, we announced that we’re working with the public transit operator for the Spanish capital, Madrid, initially to launch mobile ticketing on the airport express bus services. Next, we announced that we are also working with the city of Bilbao, who will be first to launch our contactless EMV capabilities that we have added to Justride - allowing cities of any size or budget to enable their passengers to simply turn up, tap and travel using the contactless bank card in their pocket. 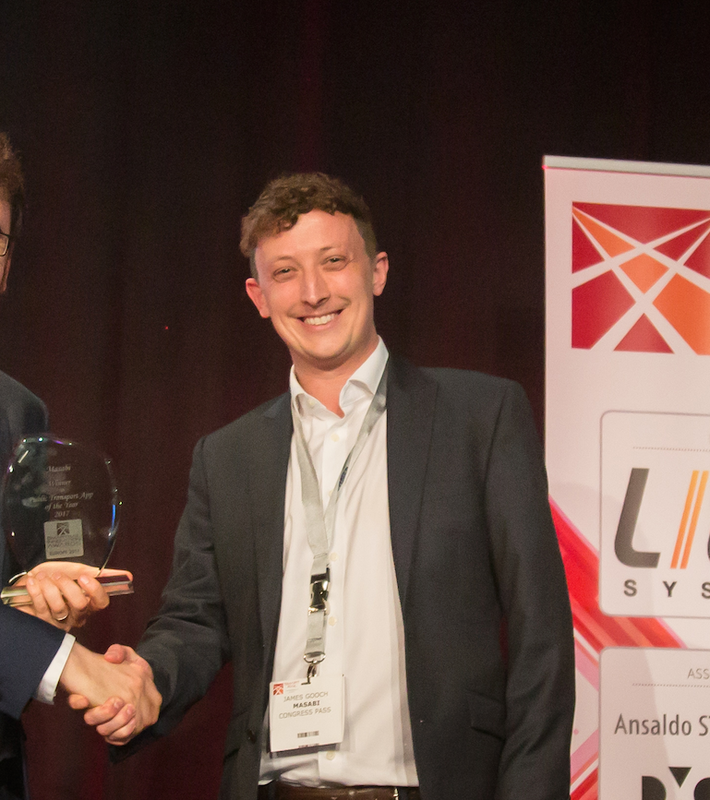 To top it all - our Justride SDK was named as a winning finalist in the mobility category for enabling practical Mobility as a Service (MaaS) at the World Smart City Awards - the Oscars for all things Smart City. After all that, we in the marketing department were expecting a well-earned break. But the news keeps on coming, this time courtesy of our partners Transit. As regular readers may recall, we announced a partnership with our good friends at Transit a while back, enabling them to integrate the Justride SDK to incorporate mobile ticketing into the app millions of people across North America use to get around and access mobility service in their cities. Today, we’re excited to announce the first launch of this service into invite-only testing with the Canadian city of St Catharines, Ontario. Every day, over 7,000 people in St. Catharines already use Transit to get around their city, which is more than 60% of the people who will board a bus! With the addition of our SDK, from January they’ll all be able to pay and display tickets when boarding the bus from within the app, for everything from single rides to monthly passes. For riders, this makes scrambling for the right change a thing of the past, but also will lead to speedier boarding and faster trips for everyone. 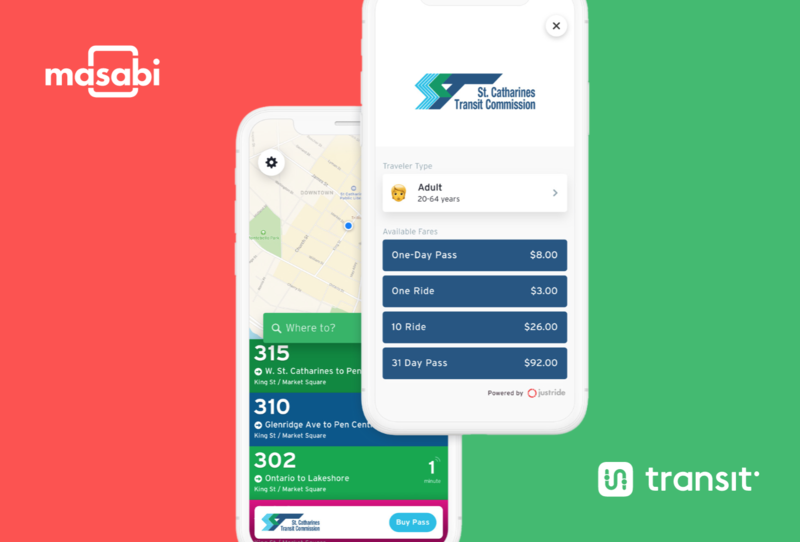 Now that Transit have integrated the SDK, they can add ticketing for other cities, and we’re in talks with other agencies about offering this to their riders. Watch this space for more developments! Since we launched the SDK, we’ve been excited and delighted by the response that we’ve received from across the mobility industry. Our central aim in its development was to take mobile ticketing and super-charge the places in which it could be provided, leveraging the huge loyal user bases for existing mobility apps, whether it be real-time information, journey planning or rider sharing. By having access to public transit services available in multiple applications, whether that be an agency branded app for regular commuters, journey planners or bike and ride sharing service, we can increase the accessibility and discoverability of public transit services within a transit ecosystem to people using applications and services for different purposes and link them all together. We are in no doubt here at Masabi HQ that this approach will increasing ridership, making our cities less congested and better places to live, work and visit.